Enjoy amazing deals on charter flights in Puerto Rico and across the Caribbean with an empty leg special! Matching your flight’s routing with an empty leg can reduce the cost of your charter flight by 20, 30, up to 50% (or more)! We can also find great deals on piston and turboprop aircraft for clients who want to connect their commercial flight with direct charter flights to Puerto Rico, the Bahamas, the Virgin Islands, Turks & Caicos, any of the Saints (Kitts, Lucia, Martin, & Vincent), or which island you prefer. Give us a call at +1 (888) 987-5387 and let us know you’re looking for an empty leg in the Caribbean or San Juan. Our brokers have access to every charter plane available for your flight, letting us offer you the best deal every time you fly! Whenever a charter plane is scheduled to fly without passengers, the flight is considered an empty leg. 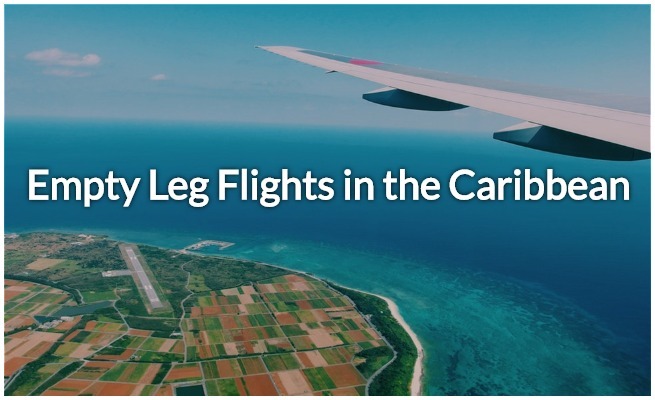 Also known as “deadhead legs”, they’re usually created when a client books a one-way flight, with the cost of the return leg included in the price. Since the plane is now scheduled to fly anyway, charter operators market heavily discount and market the flight. For example: a client in Fort Lauderdale, FL books a one-way flight to San Juan. After the plane arrives in San Juan, it must fly back to Fort Lauderdale Executive Airport. That’s how an empty leg is made, allowing anyone in Puerto Rico to get an amazing price on a charter flight to South Florida. These types of deals are created every day, but they can be difficult to find. You can call operators or visit their website, but they’re limited to their own aircraft. Puerto Rico Jet Charter, on the other hand, has access to all the planes available for you’re flight, searching through more than 15,000 planes to match you with the best deal. Although we specialize in private aviation throughout Puerto Rico, our team arranges charter flights to all areas of the Caribbean! 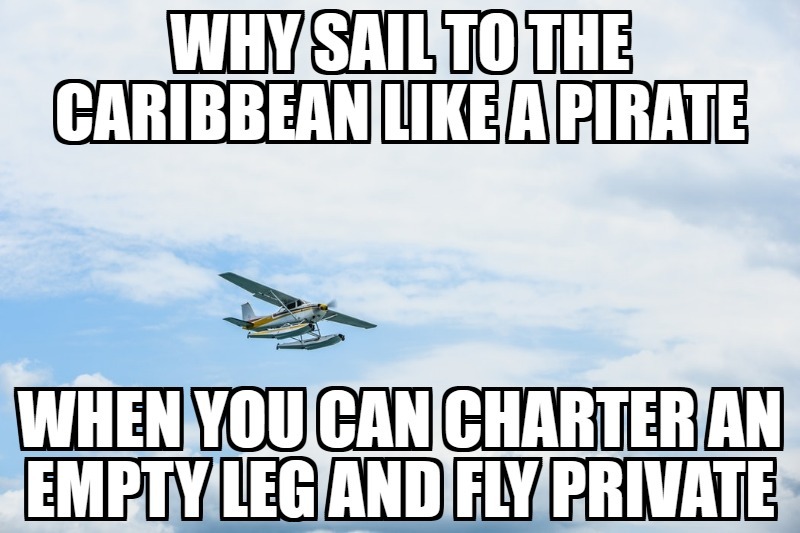 Give us your trip details, and let us search the charter market for a transient plane whether you’re flying to/from San Juan or anywhere in the Caribbean. The more flexible you are with the dates & times of your trip, the more options we can find. If you’re planning on chartering a flight to/from Puerto Rico or any of the Caribbean islands, give us advanced notice with your preferred dates. If an empty plane matches your routing, you can substantially reduce the cost of your private flight! It’s important to note that availability on these deals can be very limited, especially with the high demand for charter flights in the region. Deals on empty planes come and go daily as flights are scheduled to/from the islands, and may only last hours before getting booked. Our team can view all of the planes available for your charter flight, so contacting us means you never miss out on the best deals! And no matter how much a flight is discounted, we never cut costs by compromising the safety of your flight. As long as an aircraft, its operator, its pilots, and runways it will utilize all meet our industry-leading safety standards, we can offer amazing hourly rates with empty leg specials in the Caribbean! Our brokers are available 24 hours a day to arrange private air charter services in Puerto Rico and the Caribbean, no matter which island you’re on. Getting a charter quote from us is free, so make sure you request an empty leg quote so you don’t miss out on the best deals on air charters in Puerto Rico and throughout the Caribbean!